For too many Christmases than I care to remember, I spent upwards of $1,000 on presents for my husband and two daughters. I’d simply convinced myself that waking up to a tree overflowing with gifts was non-negotiable. By February — when my kids had lost interest in 90 percent of their gifts — I was left with regret. And a credit card bill. So a couple years ago, my husband Mike and I switched it up, instead buying a few stocking stuffers and one big experiential gift. As Florida residents, we can score discounted Disney annual passes, which are a huge hit. Not only do these make for year-round family fun, but we spend half of what we used to. And we’ve started saving months in advance of the purchase. In other words, the holidays no longer throw our budget off track. These five embrace the same kind of creative thinking. Here are their tried-and-true strategies to stay on track this season. 1. “I cash in credit card rewards to pay for my holiday shopping.” – Marc, 39, a blogger in York, Pa.
“After our second child was born in 2015, my wife and I knew that Christmas shopping was only going to get more expensive. So she came up with the creative idea to use the credit card rewards we accumulated throughout the year to pay for gifts. Up until then, we’d just been using rewards for splurges we didn’t need anyway, so this felt like a smart shift. All year, I use cash-back credit cards for almost every purchase. My go-to option offers 2 percent on everything, though I have a couple of others in the mix that I use when it makes sense. One gets me 5-percent back on all Amazon purchases; another offers 5 percent on specific categories, like groceries and gas, that rotate quarterly. No matter what, I pay the balance in full each month to avoid getting hit with interest charges that negate the benefits. 2. “I easily save $800 with a simple gift-giving hack.” – Jim Wang, 38, a blogger in Maple Lawn, Md. “There was a time when spending $1,000 on holiday gifts for everyone on my list wasn’t unusual. Gift-giving is supposed to make you feel good, but it was stressful to shell out that kind of money each year. And I’d honestly rather be putting it toward retirement. A few years ago, a friend mentioned a Secret Santa exchange that he did with his large family, and I was intrigued. The rules are simple: Draw names, then buy one meaningful gift for no more than $50. It’d relieve financial pressure for everyone, and even make the experience feel more intimate and special. I floated the idea to a dozen family members, and it was really well received, so we made the switch the following year. 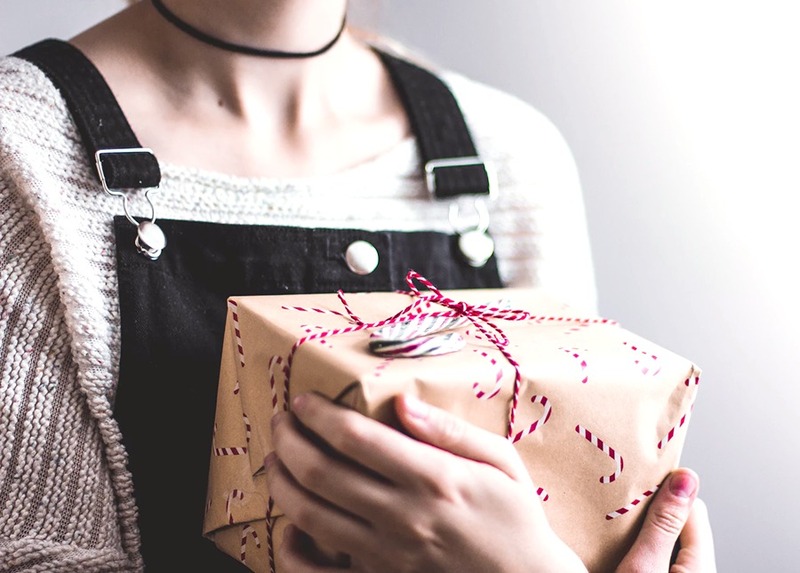 Instead of skimping and buying a bunch of cheap presents — or way overspending — our little tradition lends itself to more focused, meaningful gifts. For example, last year I gifted my sister a Thai-themed cooking lesson that she absolutely loved, which was a definite step up from the gift cards that used to be my go-to. 3. “I time my gift-buying to save the most.” – Tim Stobierski, 29, a marketer and founder of Student Debt Warriors in Ansonia, Conn.
“I have a couple big financial goals that are really important to me — namely, paying off my student loans (which I’ve already whittled down from $45,000 to less than $3,000!) and growing my net worth. So while I enjoy gift-giving, celebrations, and other holiday activities, I try to find ways to participate without derailing what’s most important. One way I’ve been able to stay on track is by avoiding last-minute shopping and aiming to buy gifts at the right time. For example, years ago, when I worked in publishing, I received a substantial holiday employee discount. In the weeks before Christmas, I’d buy books, instructional DVDs and magazine subscriptions for up to 75 percent off, then gift them to the family members who’d enjoy them the most. Another example: When traveling to Thailand a few years ago, I was able to buy a number of special gifts for very cheap. On top of saving me some money, my friends and family all loved the gifts — partly because they were so unique and different, and partly because it showed them that I was thinking about them on my adventures. “I love entertaining, but throwing a holiday party can quickly deplete my December budget and leave little room for holiday travel and gifts. So to keep myself on track, I’ve been putting a budget-friendly twist on the festivities for the past five years by challenging myself to spend just $10 per party guest. The first year I threw a great party for just $50 for six guests — roughly $150 less than I’d spent in the past. I begin by keeping the guest list small, which makes the party feel more intimate, and sending out free digital invites. I typically opt for festive appetizers instead of sit-down meals, and make it a BYOB affair: I’ll provide one specialty drink, and guests each bring their favorite beverage to share — something everyone seems to enjoy because we get to sample lots of fun drinks. I hit up my local dollar store for surprisingly classy decorations. A clear glass jar filled with red, green and gold ball ornaments always looks so elegant — and only costs $2. Some of these little shortcuts might come off as extreme, but they’re honestly unnoticeable. “My extended family is spread out across Australia, so I always travel during the holiday season. Turns out, this provides the perfect opportunity to earn some extra cash by renting out extra space in my home. I’ve been doing this (usually renting to folks I already know) on and off for about 12 years, typically charging about $200 per week for an extra room to longer-term renters. But since holiday seasons are a busy time of year in Melbourne, I can charge more for short-term accommodations. My two-bedroom apartment would’ve otherwise sat empty last year, so I decided to rent out my entire place — and raked in $1,300 for just five nights. That was more than the cost of my out-of-town rental car, gas and even holiday gifts. Since I can cover everything holiday-related with my regular budget, the Airbnb money is a nice bonus I can spend how I like. Most financially successful people have multiple streams of income, and this is a very low-effort option. If you’re interested in renting out extra space for the first time this season, my advice is to find renters you’re already connected to in some way or be strict about Airbnb. Be sure to check any potential renters’ Airbnb ratings and only accept ones who’ve used the platform a lot and have been verified. (Verification requires license details, a confirmed address and extra checks that provide more peace of mind.) I also suggest putting your valuables elsewhere, taking a security deposit through Airbnb and being extremely transparent about any house rules.